In His life, St Francis Xavier had planned to be a lecturer but experienced a deep conversion, and surrendered his life to Christ as a priest. Like our patron Saint, often we might feel ill-equipped or unworthy, but all of us are called to a great mission - to spread the Gospel and love as Jesus loves us. After Jesus’ ascension, His apostles had the important mission of spreading the Good News. They also chose a new Church leader to be a witness to Christ and continue His work. Some men are called to serve Jesus and the Church today through the celebration of the Sacrament of Holy Orders. Through their leadership in the Church, they help continue Jesus’ presence on earth in the tradition of the apostles. Those who are called to be priests are ordained through the Rite of Ordination. Priests receive the Sacrament of Holy Orders in this rite. There are three levels of participation in the Sacrament of Holy Orders: as bishop, as priest and as deacon. A bishop is the head of the local church. The local area entrusted to him is called a diocese. Deacons help and serve bishops by for instance, proclaiming the gospel, teaching and preaching, baptizing, witnessing marriages and assisting the priest celebrant at liturgies. Deacons are ordained for service in the Church. There are deacons who are studying to become priests. There are also deacons that include married men who are called to remain deacons for life and to serve the Church in this capacity. There is no one way of hearing God speak, but regardless prayer is the key to a good discernment of His will in your life. Spend time in prayer and partake in the sacraments often, do also talk to a priest or a spiritual director so they can guide you on your journey. There are several options - priest, religious and consecrated life - available, a full list can be found on the Catholic.sg website. God desires us to live full lives, "I have come so that they may have life and have it to the full. I am the good shepherd: the good shepherd lays down his life for his sheep." (John 10:10-11) So let the good shepherd lead and know that the church will pray and walk together with you. Read their stories/ watch the ordination videos of the sons of our parish that have now become fathers. Read about other vocation journeys our sisters have courageously stepped towards. 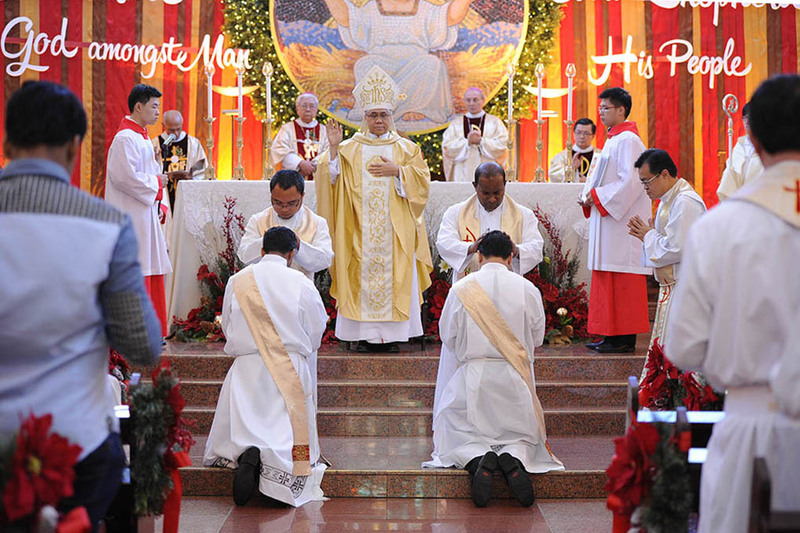 Men called by God to help shepherd the local flock in Singapore, caring for their spiritual and sacramental needs, with joy, passion, dedication and humility, after the heart of Jesus Christ, our Chief Shepherd. For a better sense of life in the seminary, you may look through the Journey Magazine, an annual publication of the St. Francis Xavier Major Seminary. “If beginners with the assistance of God struggle to reach the summit of perfection, I believe they will never go to heaven alone; they will always lead many people along after them” (St. Teresa of Jesus, Life, ch. 11, n. 4). This is the Carmelite apostolate of prayer and service in the Church. We live passionately the gospel following the footsteps of St Francis to love and serve God’s creation and humanity.In Singapore and Malaysia we serve the local Church in various ministries and apostolate. Some of us are priests but all are brothers, we live, pray and serve as a community of Friars minor in the local context. Jesuits, Society of Jesus, S.J. 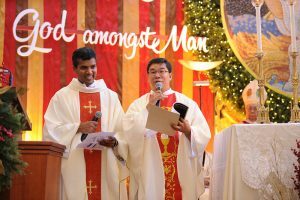 The Jesuit community in Singapore takes its inspiration from the Formula of the Institute of the Society of Jesus – to strive especially for the defence and propagation of the faith and for the progress of souls in Christian life and doctrine. Founded in 1732 by St Alphonsus Liguori, the Redemptorists mission is focused on preaching this Good News to the poor and abandoned.